Kazy (kazi) occupies the first position in the long list of items that one must bring from Uzbekistan! 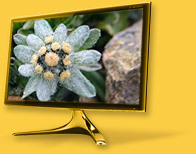 Moreover, kazy has one characteristic feature: the more of it you take, the more strongly you feel its insufficiency! 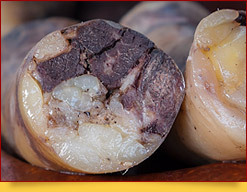 You can eat this wonderful meat delicacy every day, three times a day, and you will never get tired of it! 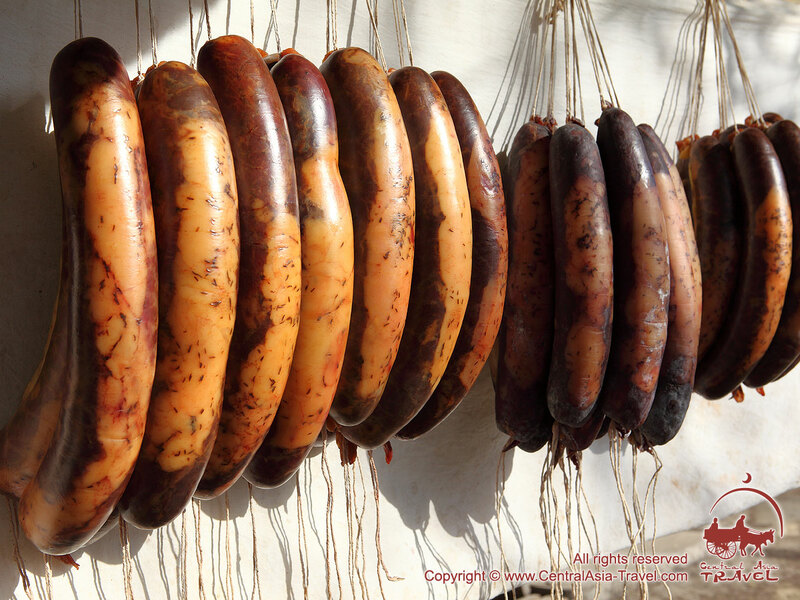 Kazy is a sausage-like food made of horse meat, delicately aromatic and incredibly delicious. Kazy is a homemade sausage never produced on a large scale to be sold in supermarkets or exported as other sausages are. Kazy does not contain any chemical additives. 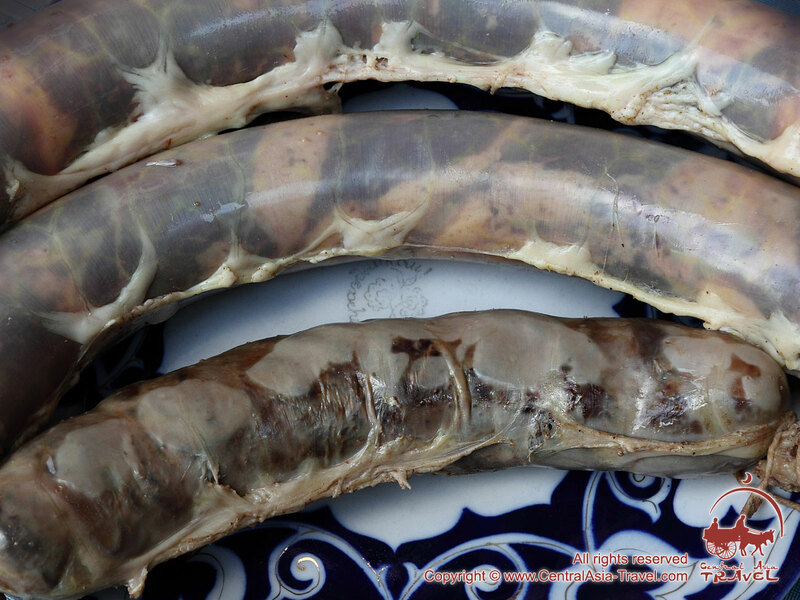 The sausage is made of horse meat and fat, with the addition of spices – black pepper, garlic, zira and others, all these being packed in horse intestines (a natural product). Usually, kazy is made of the fat meat from the ribs. Kazyis a cold Uzbek dish. 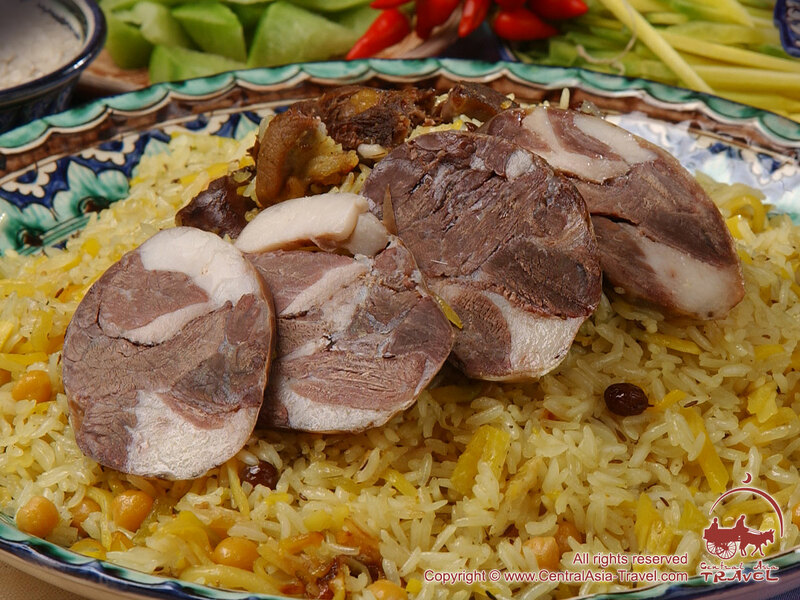 It can be sliced thinly and eaten as ordinary sausage or used as an addition to various dishes, such as plov (also spelled pilaf, pilaff, pilau, pilav, polow, pulaw, pulao), naryn and others, or as a separate dish on holidays. Nomads have been eating horse meat since very ancient times. 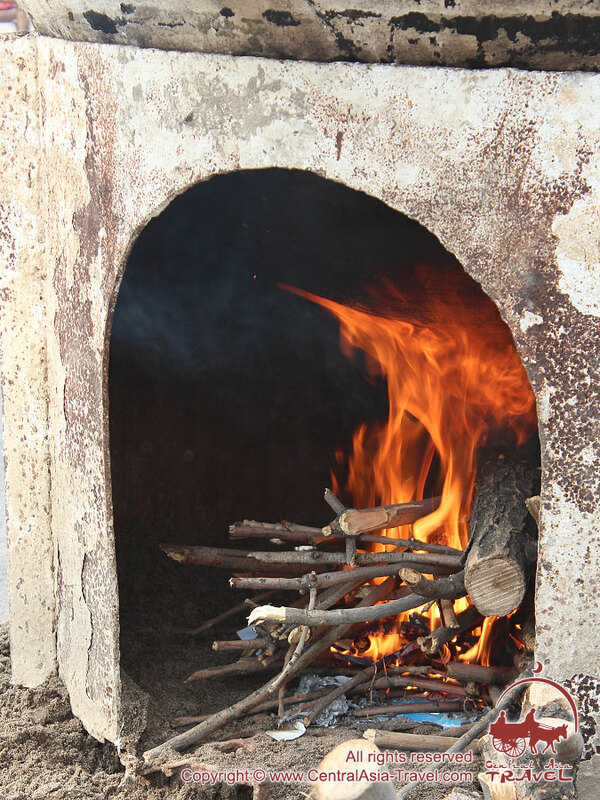 They were the first to discover that, eaten cold, this meat had a warming effect on the human body. Besides, horse meat contains more proteins with a balanced amino acid composition than other meats do and is assimilated much faster by the organism than any other kind of meat. 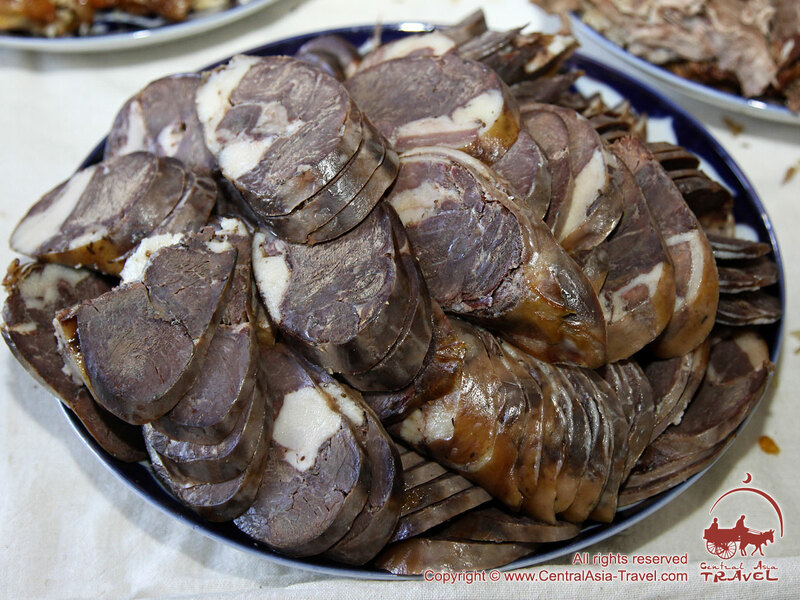 Nomads have always taken this meat with them for long trips, as this food retains its nutritional properties for a long time and does not decay even when not kept in a cold place. Kazyis made not only in Uzbekistan, but also in other Central Asian countries and in Tatarstan. 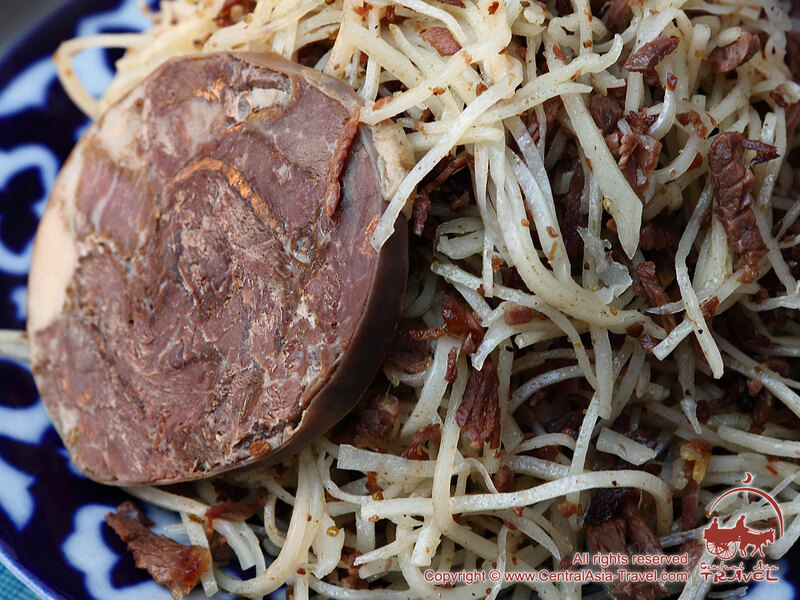 Each Central Asian people has their own recipes for kazy and secrets as to how to make this original food. 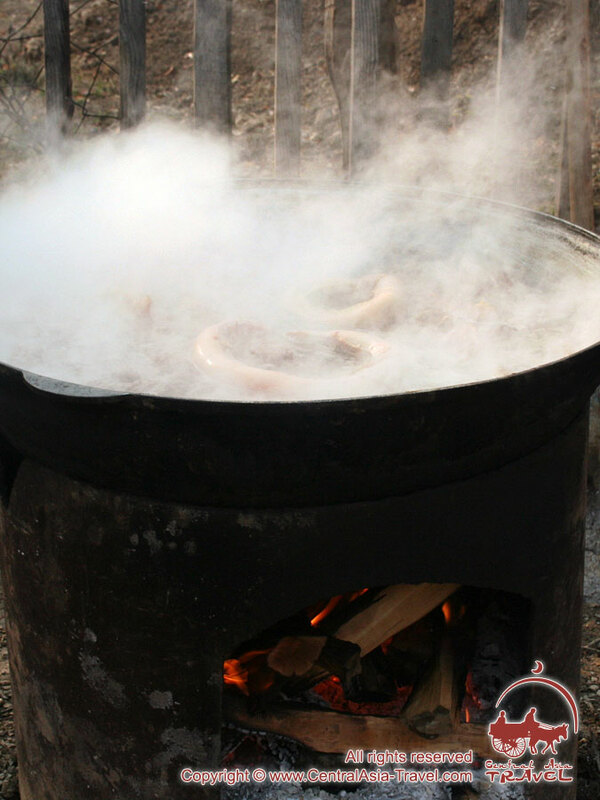 The sausage may be boiled, dried or smoked. If kept correctly, kazy may retain its properties up to three years (this type of kazy is called sur). 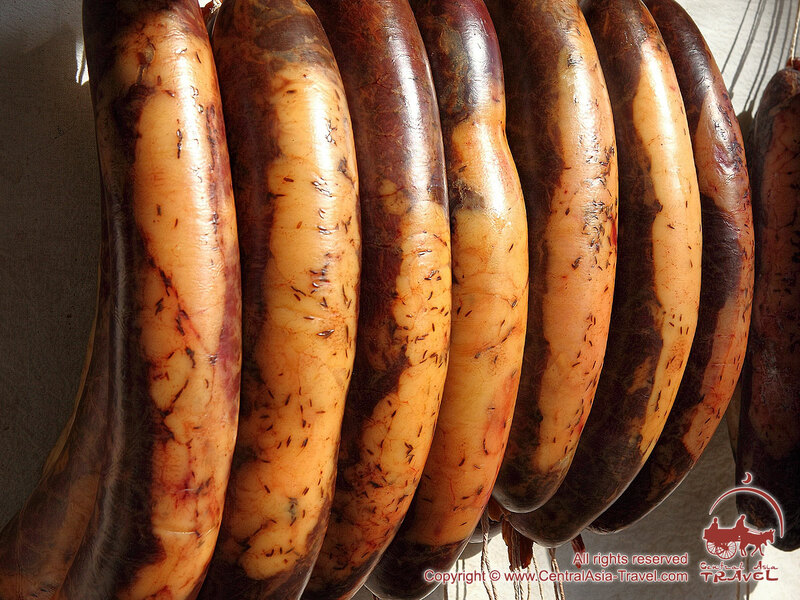 This homemade sausage is like a good wine: the longer it is kept, the tastier it becomes. 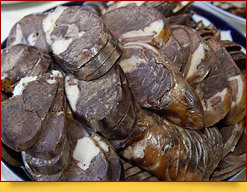 People usually buy kazy at a bazaar, raw or cooked (raw kazy should be boiled for at least 2 hours).